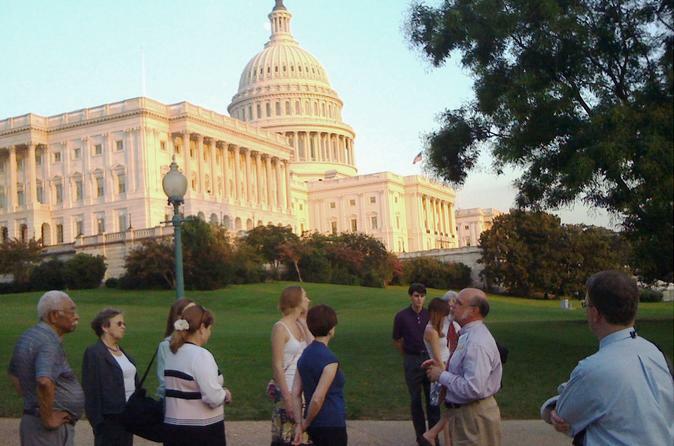 Join the US Capitol Historical Society’s staff and trained volunteers for a walk around the outside of the Capitol building, providing anecdotes and perspectives about Congress, the origin and construction of the Capitol building, and the meaning of the democratic form of government. Learn why it took nearly 40 years to build the original Capitol building and why it has been continually enlarged. Enjoy stories told of famous incidents and crucial events that have taken place inside. Hear about the daily activities that occur in and around the building as well as the history and purpose of the buildings that make up the Capitol complex. The guide will also be available after the tour to answer questions.